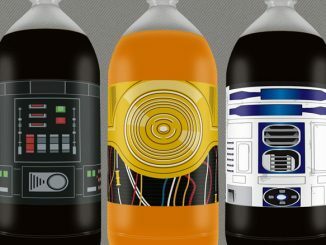 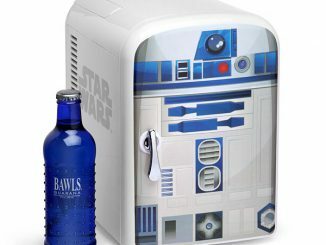 This R2-D2 Mini Fridge is the refrigerator that every Star Wars fan has been waiting for. 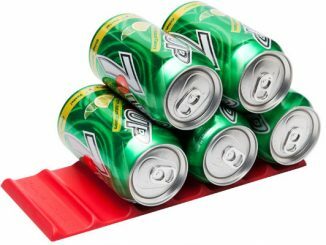 It works great for keeping drinks cold at a handy location and even has an alternative setting for keeping food warm. 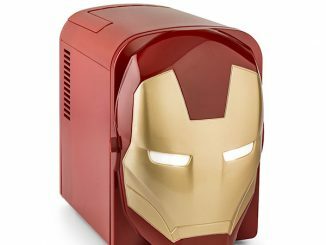 It does it all while looking awesome. 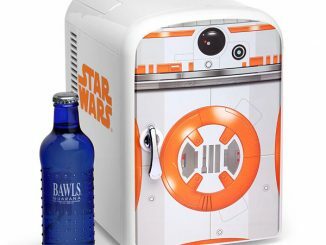 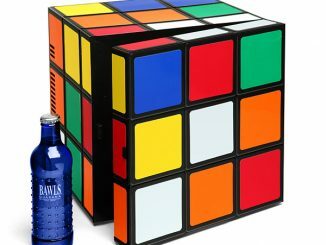 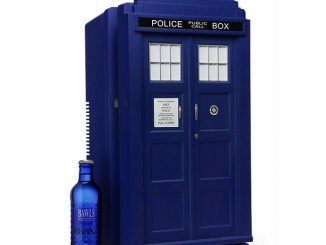 It has a fill capacity of up to 16 cans of soda. 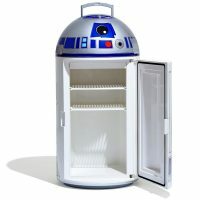 You can also store the Death Star plans inside if you want to. 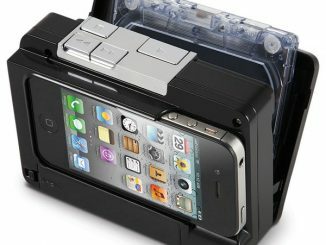 It comes with both a 110V power cord and a 12V DC power cord, so you can use it in the home, office, or on the go. 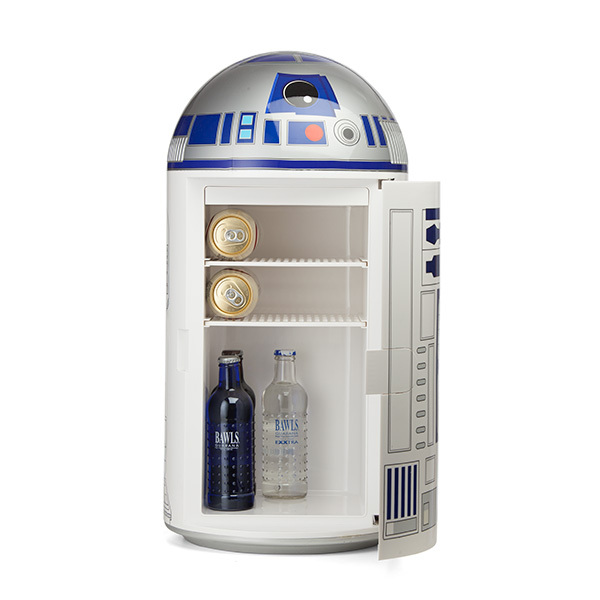 This 14 liter fridge has two removable shelves and can store up to 16 cans of soda (with a little extra room)! Locking door to prevent spills, and the fridge has warm and cool settings. 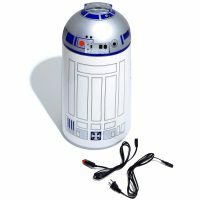 It’s under 15 pounds and has retractable handles for easy carrying. 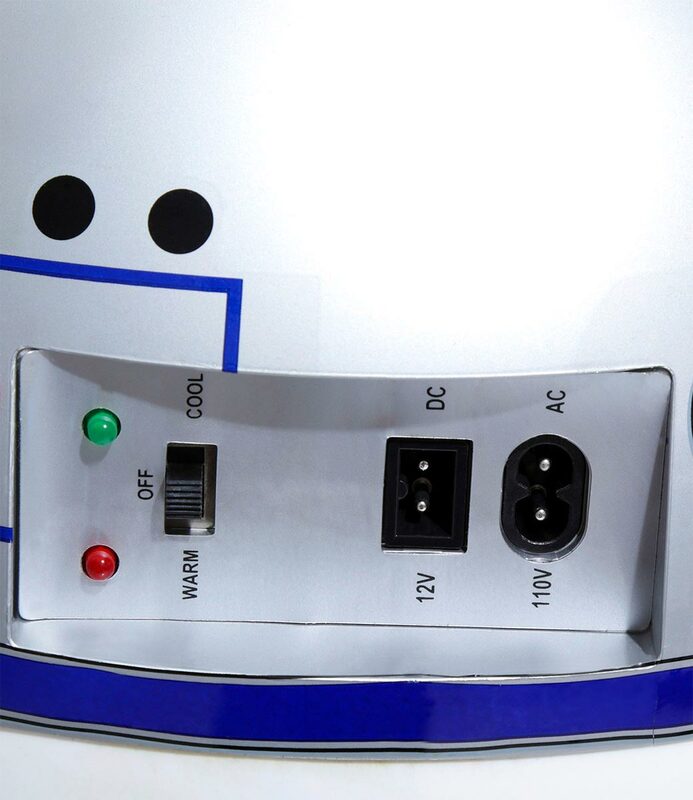 Has warm and cool settings! 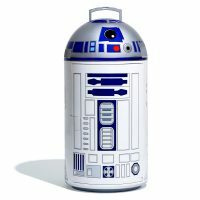 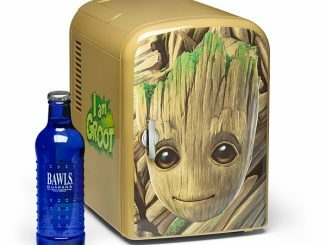 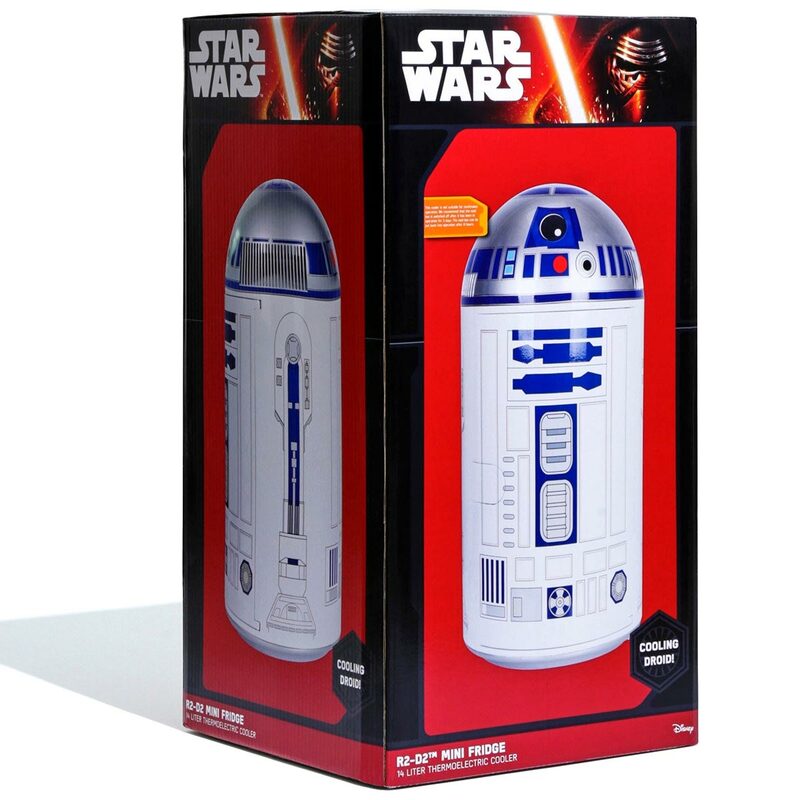 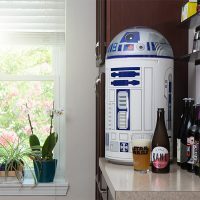 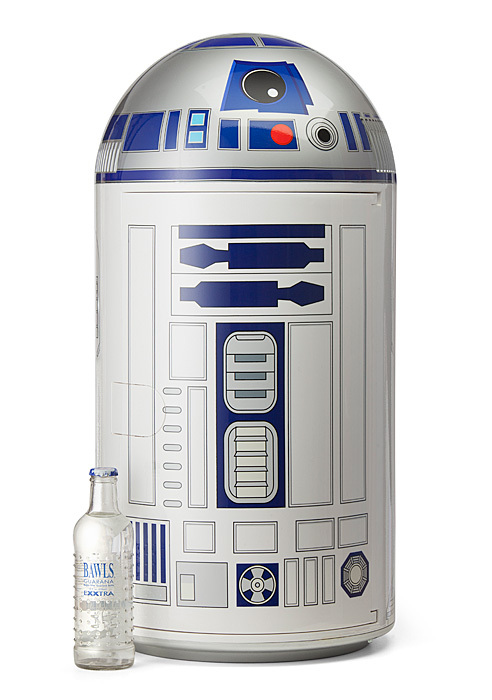 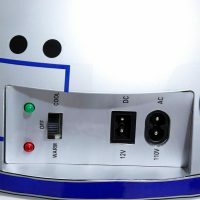 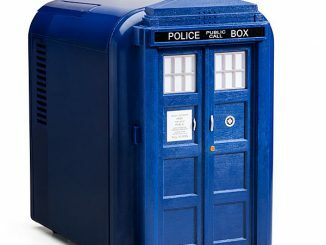 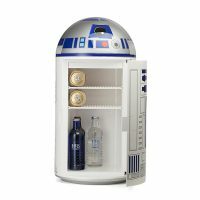 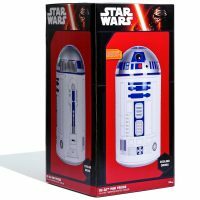 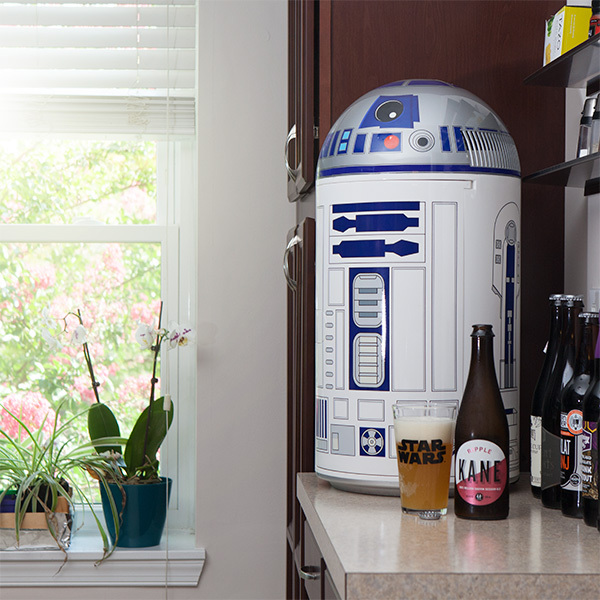 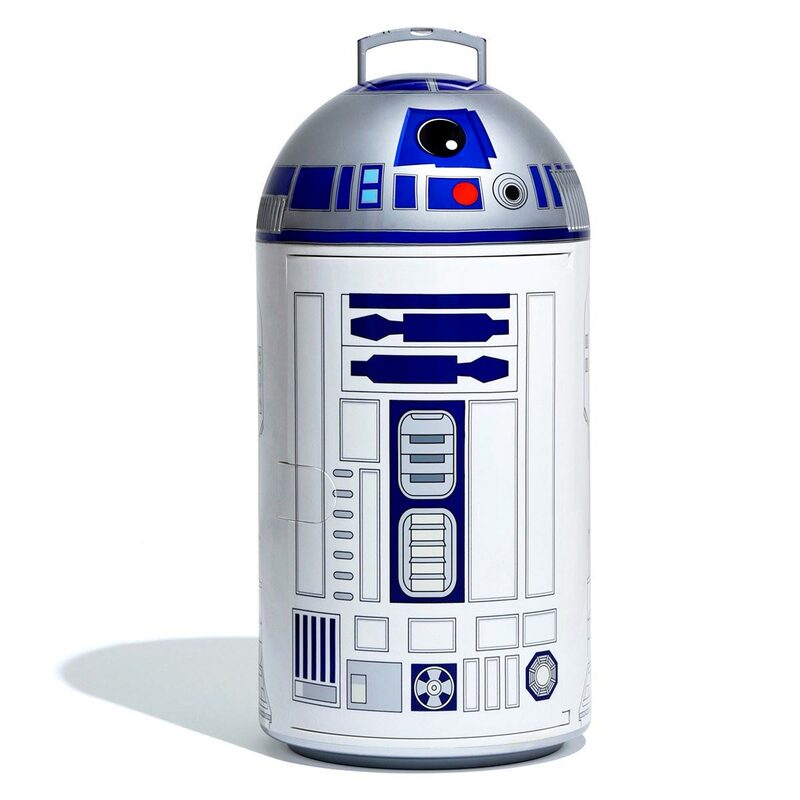 Update: This R2-D2 Mini Fridge used to be a Think Geek exclusive, but they no longer have it in stock. 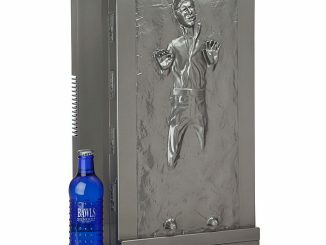 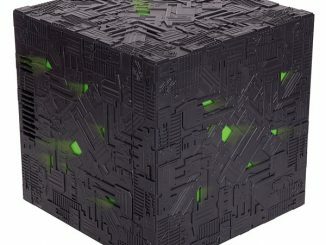 However, now you can buy it at BoxLunch for $150.